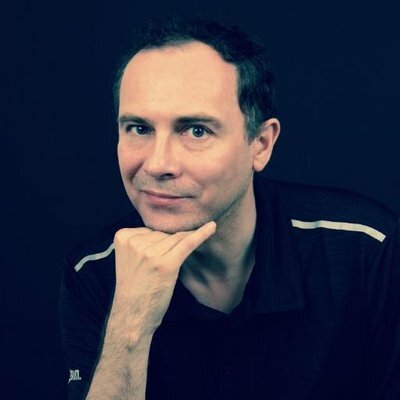 You might have thought the launch of Spotify’s app platform might have heralded the demise of web-based Spotify apps and tools – not so! 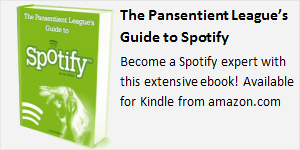 There’s been a bumper batch of new Spotify Resources: here’s a look at four of my favorites. For me, the Holy Grail of Spotify apps is something that’ll efficiently help me manage my ever-expanding collection of playlists and albums. It’s been a fundamental problem with Spotify’s interface since Day 1 and despite the introduction of playlist folders last year it remains a problem for power users. 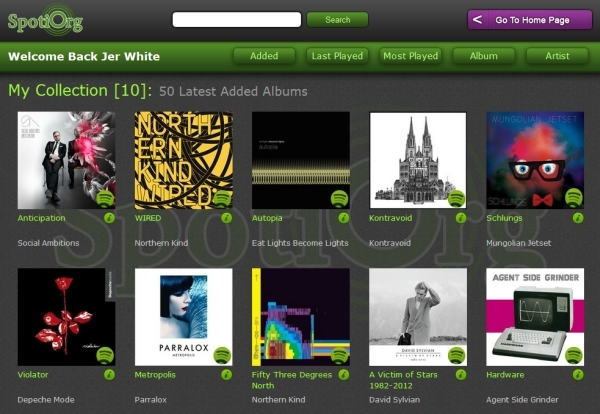 A webapp called Spotify Collection arrived in 2009 (here’s my review) that let you manage all your favourite albums using an album-art driven interface. Now SpotiOrg provides a similar service, but with a slightly different approach to album management and with 2012-isms such as Facebook login and sharing. SpotiOrg lets you build a personal collection of albums on Spotify, presenting each using large album art as well as album and artist name. You use the search area to add albums and build your collection, then sort by album or artist name, most recently added, last played or most played. And since it’s web-based, SpotiOrg also works on mobile. In many ways SpotiOrg reminds me of Spotify’s Devices view of playlists, but with much better sorting options. It’s not perfect though: searches can throw up multiple versions of the same album and it’s hit-and-miss whether you add the one that’s playable in your region. There’s also no way to add custom tags or edit the album description, and crucially there’s no genre information or “sort by genre” option. Developer Shai is aware of these few limitations though, and tells me he’s already planning on improving the app over the coming months. So minor gripes aside, SpotiOrg looks great and is well worth checking out if you want a better way to manage your music collection on Spotify! 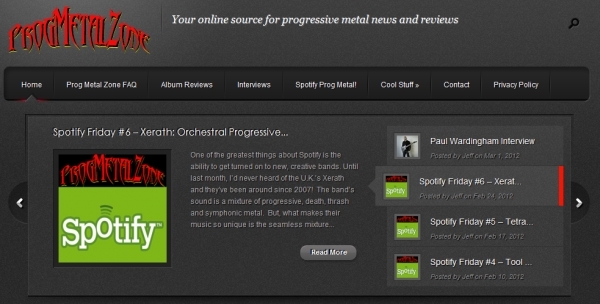 Sites specializing in metal on Spotify are a bit thin on the ground, so Prog Metal Zone is a very welcome addition. Calling itself “your online source for progressive metal news and reviews,” there’s not too much in the way of news just yet but there are interviews, reviews, and a weekly “Spotify Friday” playlist to stoke your progressive heavy metal desires. Published from California USA, the writers behind Prog Metal Zone seem especially passionate and well-infomred about the genre they love. Spotify Celebrity Playlists collects and features playlists created by celebrities. The bias is towards international stars and American celebrities (mostly musicians and singers like Mariah Carey and Mary J. Blige) but you’ll also find playlists from the world of technology (Mark Zuckerberg), politics (Norway’s Prime Minister) and more. The site keeps a track of the genres represented and most-featured artists in the celeb’s playlists. 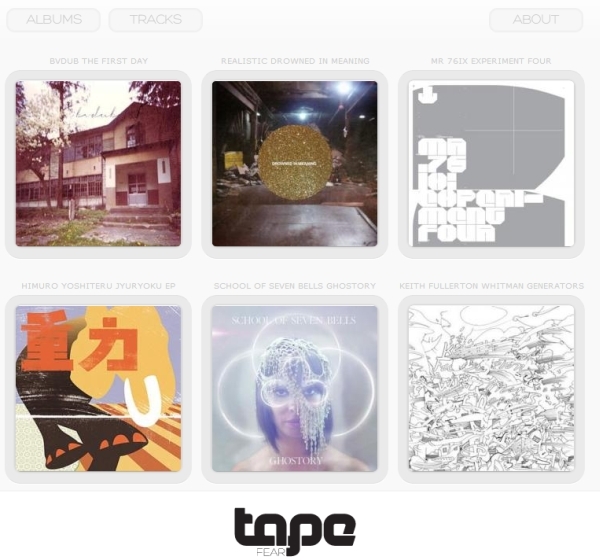 TapeFear provides a curated selection of new albums from a selection of ambient, electronic, folk and experimental artists. A grid of album covers is displayed on the homepage; click to listen in Spotify, or click the mane or INFO link to read a short description of the album and view the TapeFear rating and recommended tracks. There’s also a section dedicated to lising all the recommended tracks: just click the TRACKS button at the top of the page. TapeFear is a great site to discover some new music, pre-filtered and rated so you can be sure of some quality recommendations. There’s no clue on the genre of each album: guess you just need to have a listen and decide for yourself!